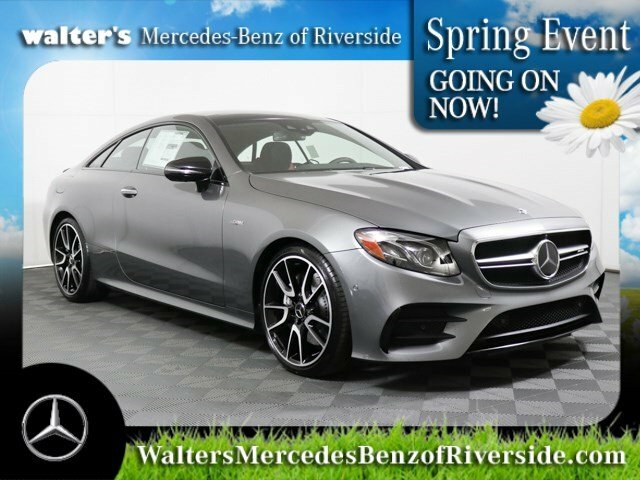 Only 1 4MATIC® Coupe model left in stock! The E-Class coupe has grown not only more elegant and sporty than ever before, it's also grown 4.4 inches in wheelbase. And while it's more spacious, it's no less gracious, with elegance in every detail and every move. From its traditional grille-mounted Star to its signature wraparound LED tail lamps, the timelessly modern appeal of a Mercedes-Benz coupe has grown even stronger. The classic Mercedes-Benz coupe signature is a sweeping profile with no visible framework interrupting the four power side windows. Called pillar less design, it's a not just a class-exclusive but a bodystyle only Mercedes-Benz has produced continuously for over half a century. It takes an extensive degree of engineering to deliver the airy elegance and sporty energy of a pillar less coupe with the security and solidity expected of a Mercedes-Benz, but it reflects the passion behind the Star. Four individually tailored seats are an E-Class Coupe tradition. So is the driver focus of its advanced instruments and controls. With a wheelbase stretching more than four inches beyond the previous generation's, the newest E-Class Coupe offers a new level of rear-cabin comfort. It's a true four-seater, not only by the count of its seating positions, but also by the measures that count even more: comfort, craftsmanship and contentment for all aboard. Radiating from the iconic central grille Star, the AMG twin grille blades are finished in chrome and set into a matte silver surround. Power front seats feature intuitive, seat-shaped controls on the door, plus a 4-way power lumbar support. To set and save your ideal driving position, a memory system for each front seat recalls three stored positions for the seat, plus the positions of the 4-way power steering column and side mirrors for the driver. Designed to cradle the driver and front passenger through every curve, the deeply contoured front sport seats feature integrated head restraints inspired by racecar seats. The twin rear seats have a similar design. Separate left and right temperature controls allow the driver and front passenger to enjoy personalized comfort. In addition to fully automatic or manual control of blower speed and airflow distribution, the system includes a dust and pollen filter that helps keep particles as small as 0.0002-inch from entering the cabin. Radar-based technology can alert you if you're approaching a vehicle ahead, or even some stationary objects, at a speed and distance that suggest a collision is likely. 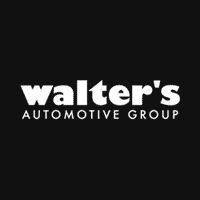 As soon as you start to brake, it can automatically provide an appropriate level of braking to help prevent a collision or reduce its severity. If you fail to respond, it can also initiate braking automatically at a range of driving speeds. The system can also detect and react to crossing pedestrians at typical city speeds. In the future, cars will be able to communicate with each other over the airwaves. In the E-Class, the future starts today. 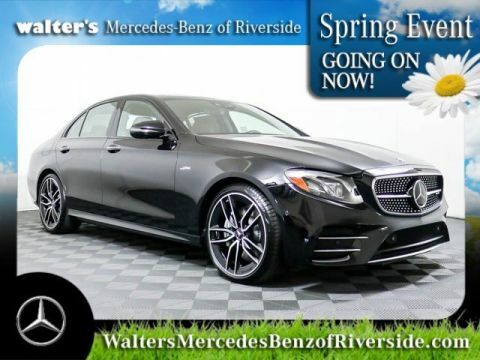 With its industry-leading Car-to-X Communication, every new E-Class can automatically alert a central notification system of certain dangers, from detected wheelspin to the use of hazard flashers or even windshield wipers. The system can then alert other drivers with Car-to-X via in-dash displays or announcements, allowing precautions to be taken before reaching the hazard. 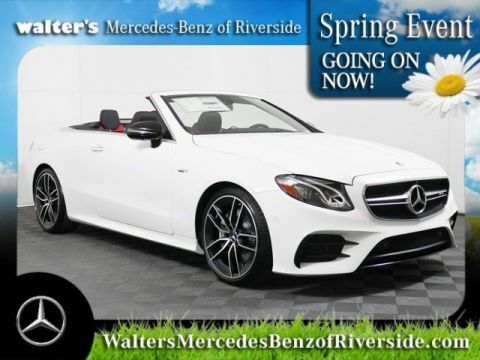 Let the 2019 Mercedes-Benz AMG E 53 4MATIC Coupe impress you in person today at Walter's Mercedes-Benz of Riverside located at 3213 Adams St. Riverside, CA 92504.